"Nightwish meets Periphery, Mute Prophet plays a unique brand of symphonic metal combining intensely technical guitar and infectiously catchy melodies." This is how a symphonic prog metal trio from St. Louis, Missouri, Mute Prophet, describe their sound. The band recently re-released their debut album "The Unheard Warning," and we talked with them about that. What made you go for the name Mute Prophet? Kevin Goetz: I think Chris and I were literally just throwing names back and forth in high school, and that was just the first one that resonated in any meaningful way. Over time, it evolved into a kind of symbolism we really connected with, but at first it came up kind of randomly. Chris Tompkins: From my perspective, we were looking for something that sounded kind of contradictory, or that could mean a couple different things depending. Is it someone who wants to say something but is choosing not to for one reason or another, or are they literally being silenced? Kevin Goetz: Nightwish meets Periphery. 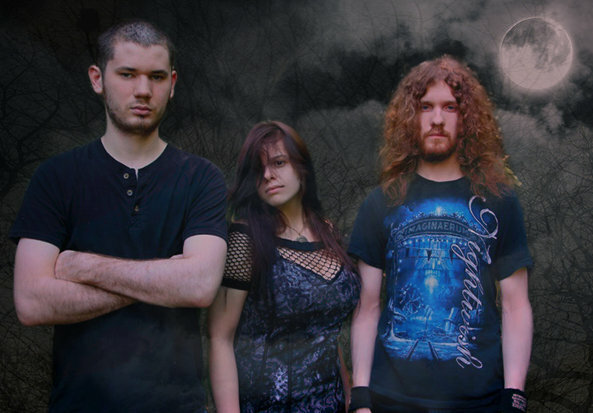 It's like a combination of the melodic focus, keyboard and orchestrations of mid-2000s symphonic metal, with a vocalist who can handle both singing and growling/screaming, and the complex guitar riffs and crazy shred solos of modern progressive metal. Kevin Goetz: I usually start out by writing in Guitar Pro. I use this for the drums, the orchestra and the vocal melodies. Those are then exported as MIDI files, which I plug into EZDrummer and my various orchestra plugins, which are all run through Reaper, where we'll then record the guitars, bass and vocals. Adrienne Odenthal: A lot of the time I'll free-write whatever lyrics pop into my head, and if any of them will fit into Kevin's song structures, he'll take them and work them in. I think we usually end up with about a 50/50 split on lyrics. Kevin Goetz: Alexi Laiho, Misha Mansoor, Rusty Cooley, Tuomas Holopainen. Chris Tompkins: Periphery's really inspiring for me – they're just a bunch of dudes writing what they want to write, and not worrying about whether people like it or not. Children of Bodom, Nightwish, Paul Gilbert. Adrienne Odenthal: Simone Simons, Floor Jansen, Tarja Turunen, and Angela Gossow. 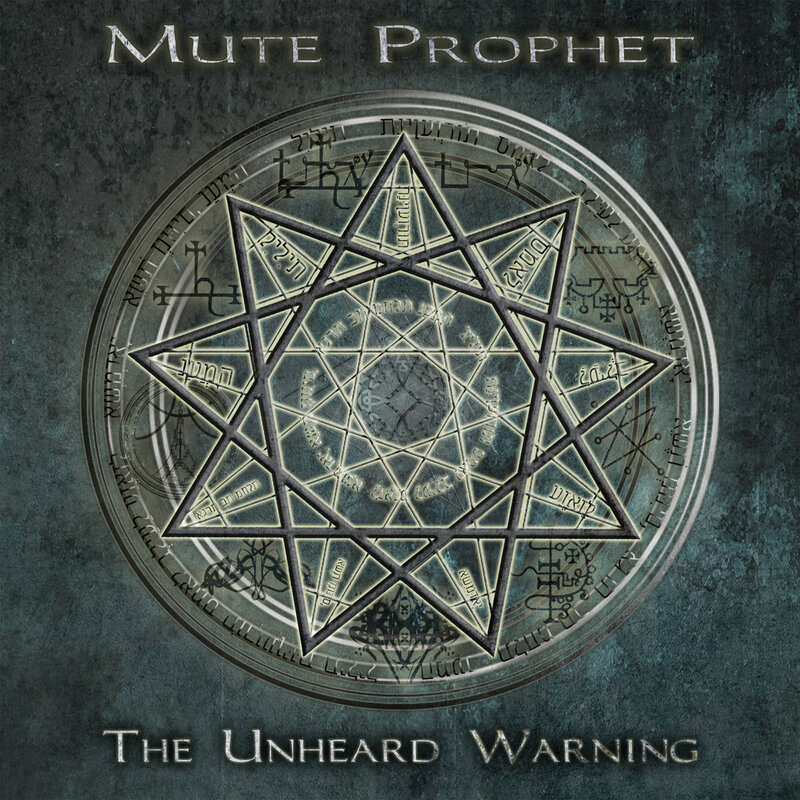 What is your favourite piece on the “The Unheard Warning” album? Kevin Goetz: Picking a favorite is really tough for me. We made a point to write them with something unique about each one, so they're all great for their own reasons. I guess I'd have to say Comprehension, the final track. It's an 11-minute beast that goes through several different moods and concludes the concept album's story. Chris Tompkins: Yeah, it's really hard to pick one. I think I'd say Limits of Myself, the first song. It's a strong and straightforward opener that really defines our overall sound for the listener. Adrienne Odenthal: For me it's a tie – Choke on the Smog, For the Blind, The Unheard Warning and As You Fall. I feel like those are all the most challenging, vocally. Choke on the Smog and The Unheard Warning have a lot of change-ups and aggression, For the Blind has a certain attitude that I don't use much, and As You Fall is tough because there aren't too many opportunities to take a breath, so it requires basically perfect timing. What makes “The Unheard Warning” different? Kevin Goetz: I think the big thing for me is the fact that this is a genre combination that's basically never been done before. At least, if it has, I've never been able to find it. There really don't seem to be any bands creating symphonic metal that's driven by technical, modern guitar playing. Adrienne Odenthal: I feel like it keeps all of my favorite elements from different metal sub-genres without overshadowing anything. It all blends together in a really unique way. What should music lovers expect from “The Unheard Warning”? Kevin Goetz: Variety. I know I've talked a lot about the crazy guitar work on this album, but the truth is it covers a lot of different sounds and a lot of different emotions. It's a concept album, and it does aim to tell a story from beginning to end, so it moves through different vibes as it goes. Chris Tompkins: Yeah, in terms of styles and arrangements, it ranges from blues, jazz, classical, power metal, death metal...there's something for everyone. There's definitely at least one song on the album that every type of metal fan will like, so if you don't like the first song you hear, keep listening. Adrienne Odenthal: Emotion delivered in an unexpected way. It probably takes at least one listen through the whole album, but when someone starts dissecting the actual story of it, the message can come out of nowhere and be really surprising. It hits hard. Kevin Goetz: I'd hope that the listener can connect with the emotions that are inherent in each song, whatever we were trying to communicate when writing. Especially considering that the album has an overall story to it – I'd really hope that listeners enjoy it and are in someway or another moved by it. Chris Tompkins: Whatever emotions they need to feel, if that makes sense. If they relate to a song and its message and it makes them angry, sad, happy, whatever, then that's what I'd like them to experience. Adrienne Odenthal: I think everyone will have a unique experience based on what they personally need, but will probably generally share similar themes throughout the album. Kevin Goetz: Well, we haven't had the opportunity to tour yet, so I guess studio life wins by default! That said, we did all our recording from a home studio we put together in the basement, so that's gonna be pretty hard to beat. Kevin Goetz: Once by Nightwish, Sinthetic by Shade Empire, and The Divine Conspiracy by Epica. Chris Tompkins: Follow the Reaper by Children of Bodom, Iconoclast by Symphony X, and Select Difficulty by Periphery. Adrienne Odenthal: Follow the Reaper by Children of Bodom, The Jester Race by In Flames, and Oceanborn by Nightwish. Get "The Unheard Warning" from Bandcamp here. Stay in touch with Mute Prophet via Facebook.